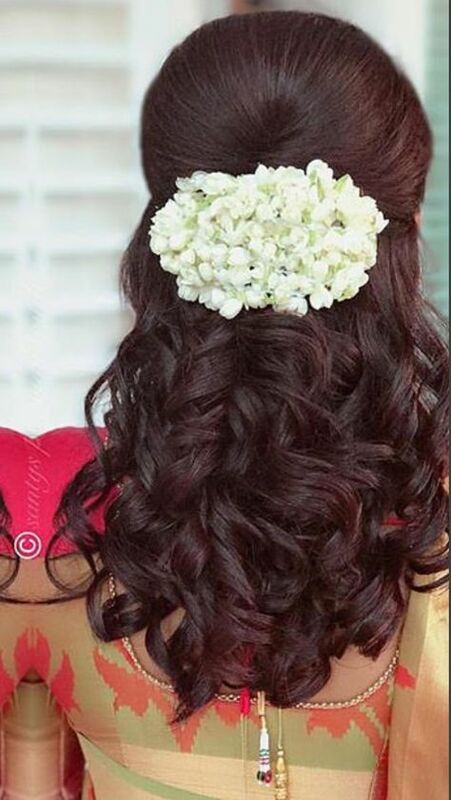 Wedding season is here, and apart from makeup and garments you also feel like getting a dream hairstyle done for special occasions. For the girls who love to keep their hair open, we have these interesting style options which everyone will love to try. You can use flowers to add colors or just keep them simple as is. 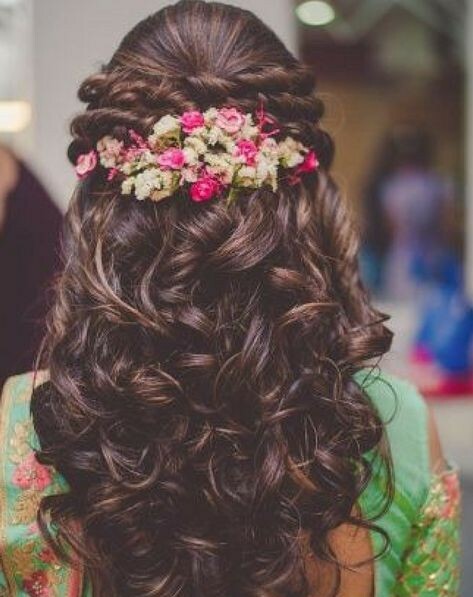 -Lots of curls at the back defines this dreamy hairstyle which is a perfect thing for a girlish look. Its basically three lines of side twist with a puffed hairstyle at the front. 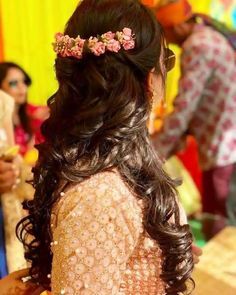 The twists are secured at the back with decorative flowers in shades of pink and white which you can match with the colors of your dress. Curls at the back give a nice finished touch to the hair. 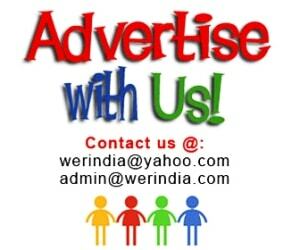 -If side twists in not what you need, then this puffed hairstyle is a good option. It makes the face look fuller and adds a volume to the hair as well. 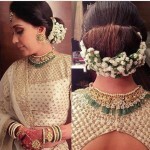 This is a high raise full puff which is secured at the back with simple mogra flowers. 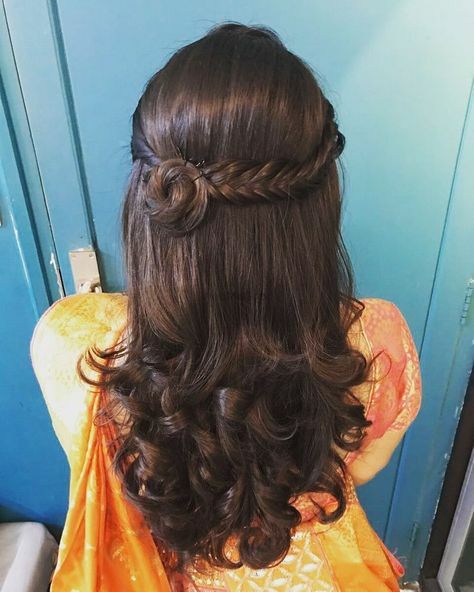 -This braided style is so simple and unique that it makes it a complete must try thing. 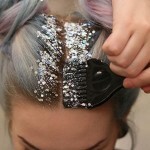 Simply comb the hair backwards and start braiding from the front towards the sides. The other side can be done the same way, or you can do just the twisted style like in the picture. 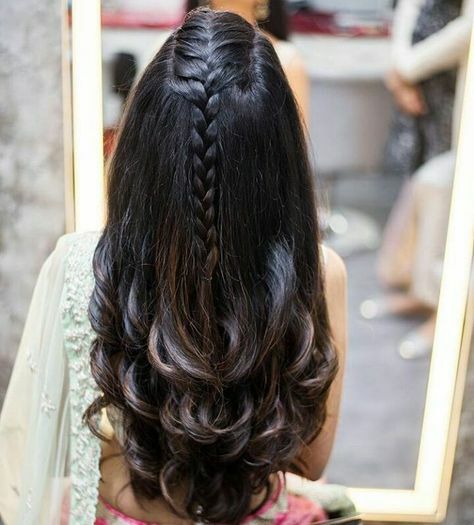 Secure the ends of both the braids on one side at the back, and while you do so give it a shape of a circle which at the end will look like a flower. -This fresh look without the side braids and the knots is quite a thing to try. Start by making french braid and after 6 to 7 braids switch to the simple braid style. Don’t forget to curl the hair at the ends.